The Stepkids recently teamed with Pharoahe Monch and Homeboy Sandman for an update to their track ‘Suburban Dream’. 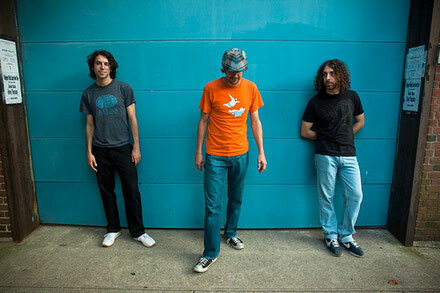 The original can be found on their critically acclaimed self-titled debut album, out now via Stones Throw Records. The new version, remixed by French hip hop group Union, is available now as a free download HERE. You can catch The Stepkids bringing their futuristic electro soul and soaring harmonies to North American stages this spring. The Connecticut trio will kickoff their tour with Mayer Hawthorne & The County next Monday, April 16 in New York City at Webster Hall. Their groove is a fusion of punk and jazz, West African and 1960s folk, neo and classic soul, classic funk and 20th century classical. Their debut album was produced, engineered and recorded on a reel-to-reel by the band and they have received praise from the likes of Spin, Los Angeles Times, Mojo and many more.